Great quote… I have walked out of my history and am writing NEW history for myself! 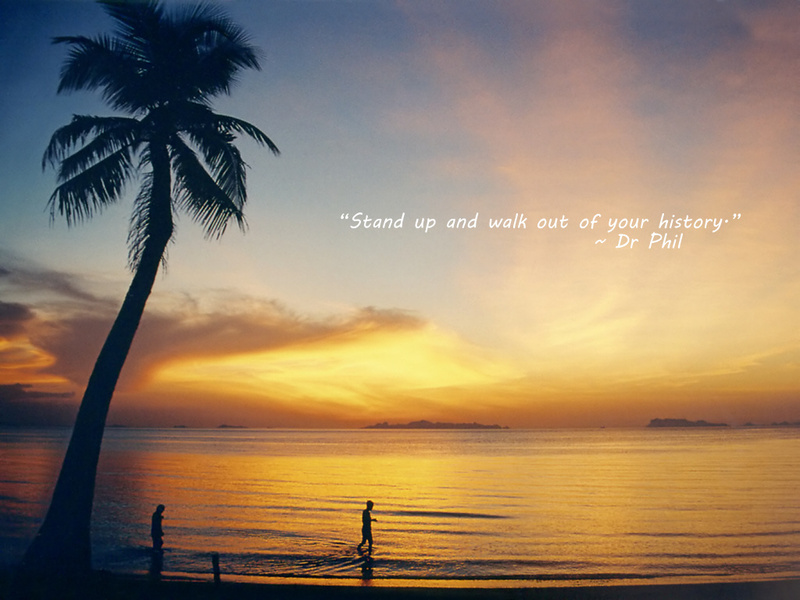 “Stand up and walk out of your history.” This is a quote I found somewhere from Dr Phil. I know a lot of people have very mixed feelings about the man and his television show. One thing you have to give him is that he know how to punch line an issue with laser like focus. He cuts through all of the noise about the “stories” that people are telling him and hits at the core of the problem. I love this quote. To me it is a kick in the pants to stop believing I can’t do something just because I haven’t done it before. At some point you have to choose to hang on to the comfort of your story or choose to change your script. Reasons or results is something my dad used to say to me. How applicable that is in so many circumstances! I watch Dr. Phil daily. Many lessons can be learned. Many do critisize him. But they obviously wear blinders..